This site is intended to help you understand more about our work, how you might benefit more directly from it, and how you can influence its direction. 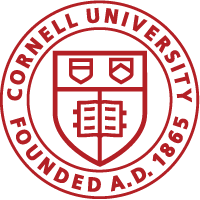 4-H Program Leader at Cornell Cooperative Extension Onondaga County, for description and more information, click here . Specific programming areas are grouped within five broad categories which address relevant issues statewide. Anne Armstrong (Ph.D. student, Cornell Dept. of Natural Resources), Dr. Marianne Krasny (Cornell Dept. of Natural Resources), and Dr. Jonathon Schuldt (Cornell Dept. 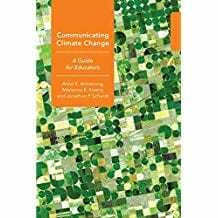 of Communication) are pleased to announce their book, Communicating Climate Change: A Guide for Educator s, is now available! It can be purchased from Amazon, from CU Press, or download for free (it’s Open Access! )Comment from Cornell University Press: Starting with the basics of climate science and climate change public opinion, Armstrong, Krasny, and Schuldt synthesize research from environmental psychology and climate change communication, weaving in examples of environmental education applications throughout this practical book…Communicating Climate Change uses fictional vignettes of climate change education programs and true stories from climate change educators working in the field to illustrate the possibilities of applying research to practice. Free Online Course: Creating a Community-based Deer Management Plan: Cornell University’s Department of Natural Resources (Human Dimensions Research Unit and Natural Resources Cooperative Extension) has developed an online educational course—Creating a Community-based Deer Management Plan—aimed at supporting community leaders, wildlife professionals, and Cooperative Extension educators in creating community-based deer management plans. I am contacting you because we think this resource will be of general interest to your group.The course reviews the essential elements of a complete community-based deer management plan with real-world examples developed by communities across the United States. The course also includes brief educational videos featuring wildlife professionals, academics, nonprofit personnel, and community leaders.The online course is accessible via the Community Deer Advisor website (www.deeradvisor.org), or by browsing courses at https://canvas.instructure.com. The Community Deer Advisor, a collaboration between Cornell University’s Department of Natural Resources (Human Dimensions Research Unit and Natural Resources Cooperative Extension) and The Nature Conservancy, is aimed at providing guidance as communities progress through a community-based deer management decision-making process. The purpose of this online course is to help community leaders understand the components of a community-based deer management plan. We would greatly appreciate it if you could help us spread the word about this website.